Dimension 3000, 3100 and 5000 users now have a cost-effective path to upgrade to the Dimension Icon® or Dimension FastScan™. The new Dimension products feature the highest performance and greatest ease of use ever seen in an AFM. 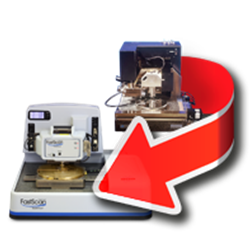 With over 30 standard and proprietary AFM modes, the new Dimension instruments will ensure your research success!